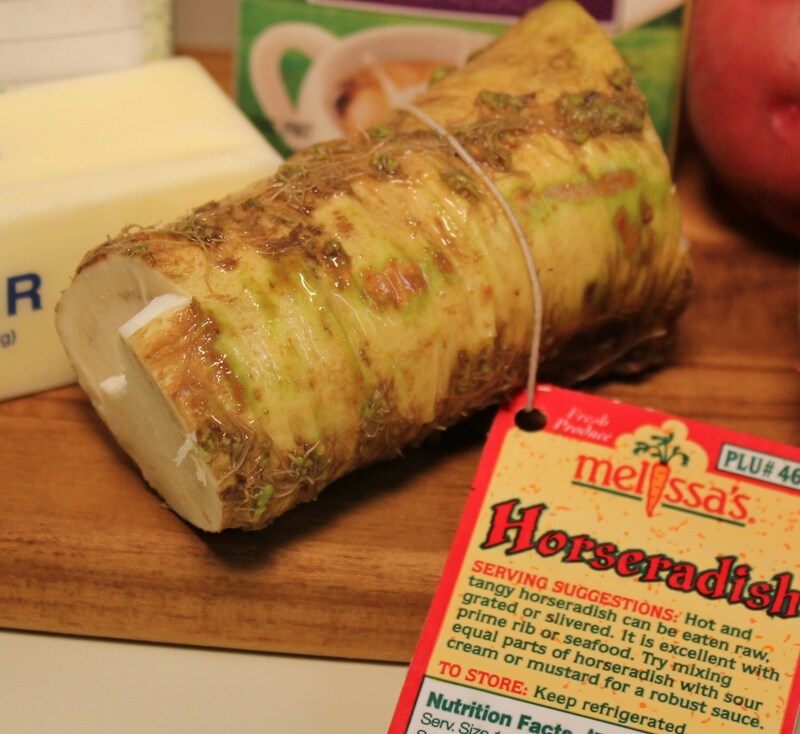 Did you know that July is national horseradish month? 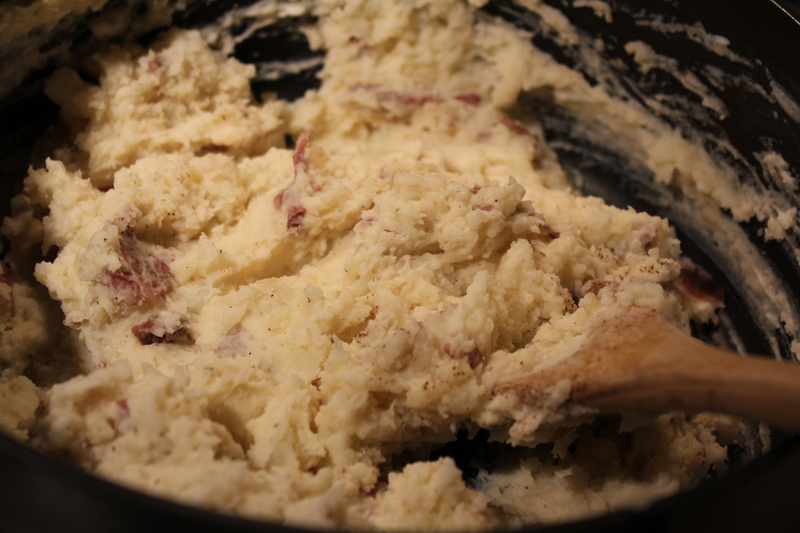 Well, it is, and to celebrate here is a great recipe to showcase this spicy and pungent root —horseradish mashed red potatoes (Yukon golds work well, too.) Talk about some awesome comfort food, with just a little bite! 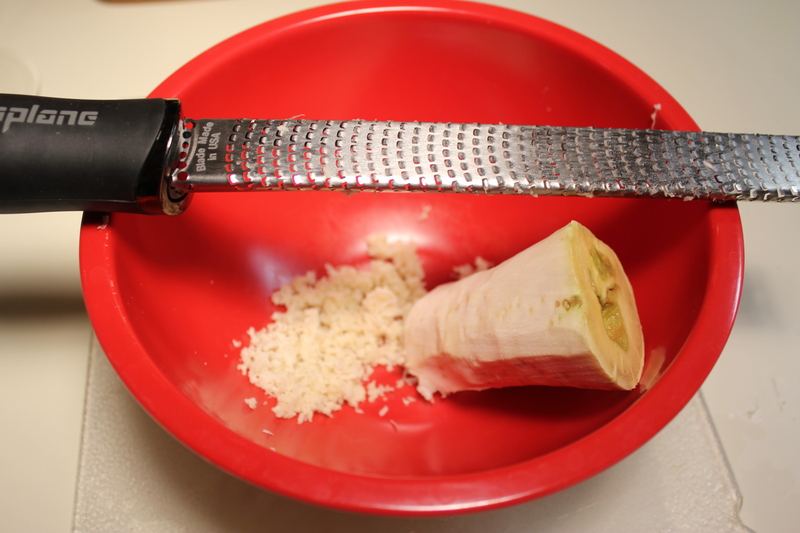 After you peel off the outer skin, grate the fresh horseradish to add to your recipe right before serving, since it discolors quickly. 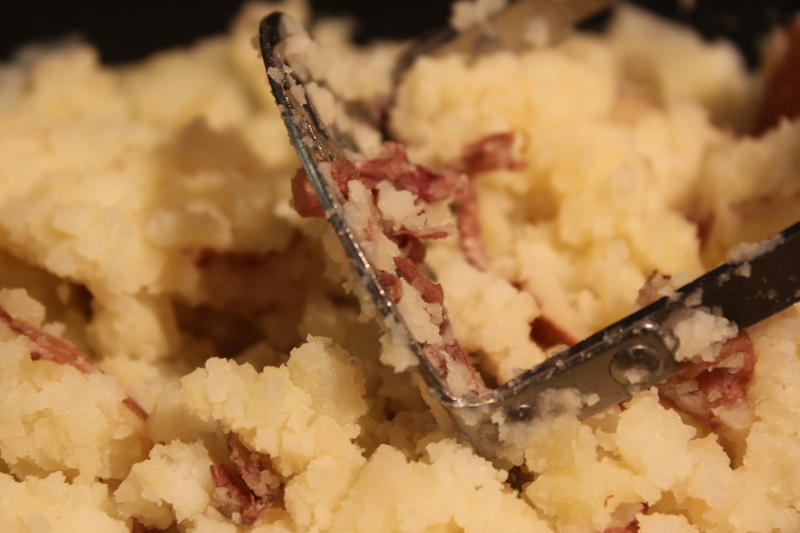 Scrub the potatoes well, remove any bad spots and cut into large chunks. Place them in a large pot, cover with salted water and bring to a boil. 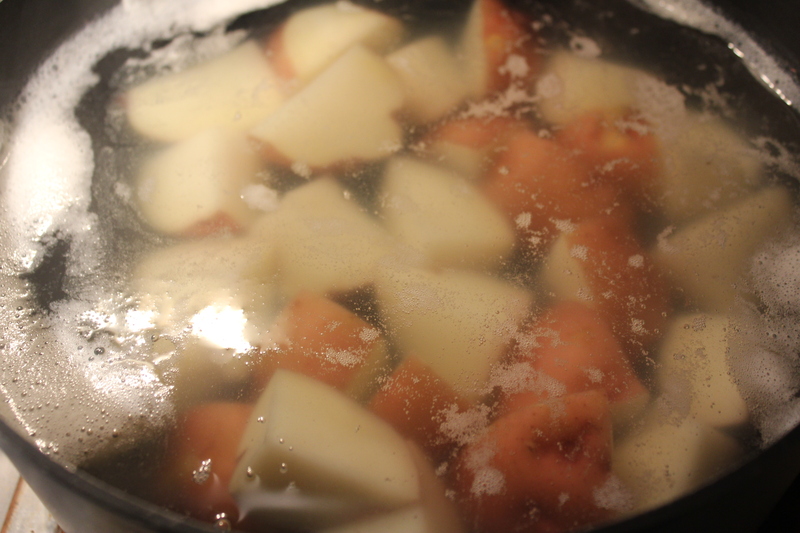 Simmer the potatoes until they are fork tender, about 20 minutes or so. 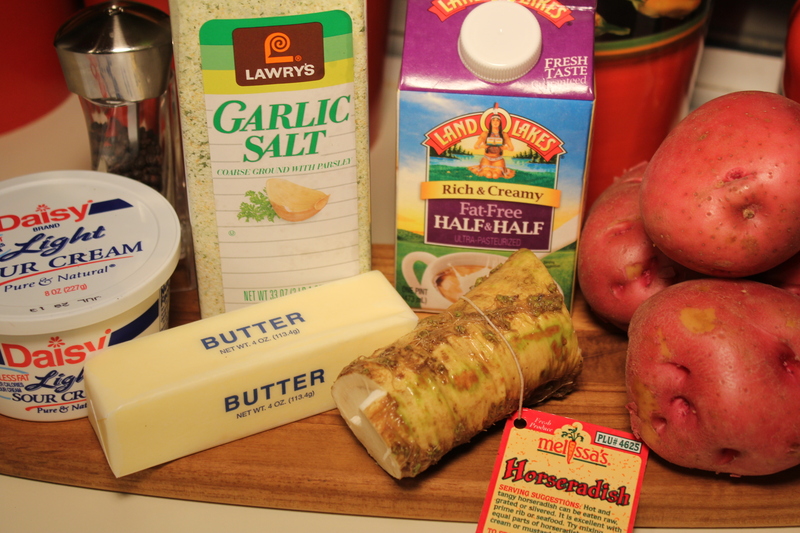 Add the butter, half and half, and sour cream. 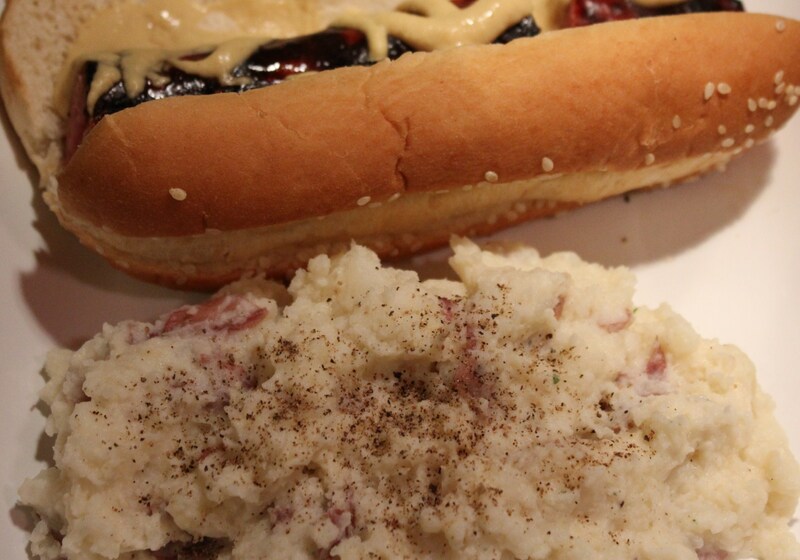 This entry was posted in Recipes, Vegetables/Vegetarian/Vegan and tagged eat drink and be merry, Fresh horseradish recipes, horseradish mashed potatoes, Horseradish mashed red potatoes recipe, kel's cafe of all things food, Kelley Chisholm recipes, vegetarian recipes. Bookmark the permalink. 2 Responses to Hooray for Horseradish! I first had these potatoes in Oprah’s restaurant in Chicago in the early 1990s. They called them “Oprah potatoes”. They used heavy cream in that recipe, but I found half and half still makes them nice and creamy. I’ll have to try it with the sour cream. 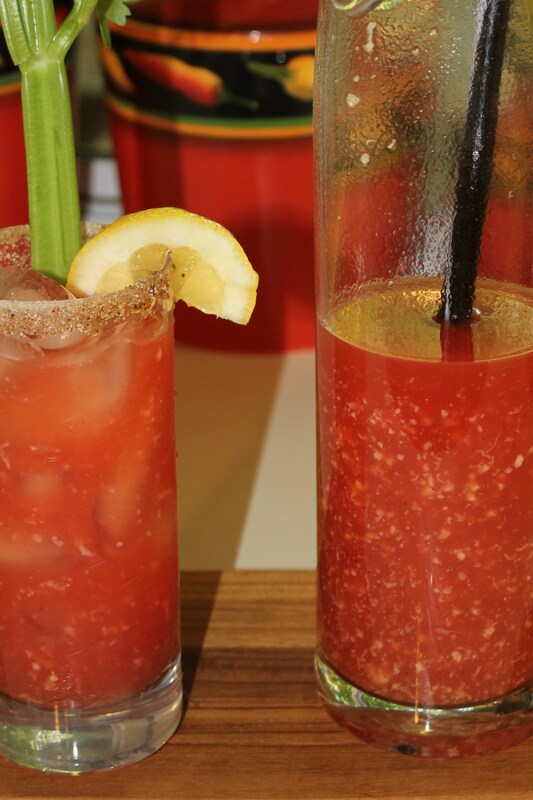 I’m with you, I like a bowlful of these all by themselves!